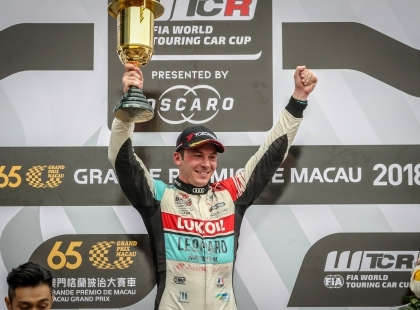 Jean-Karl Vernay won the opening race of the World Touring Car Cup's Macau Guia race weekend, beating Yvan Muller and Rob Huff in a gripping fight for victory. 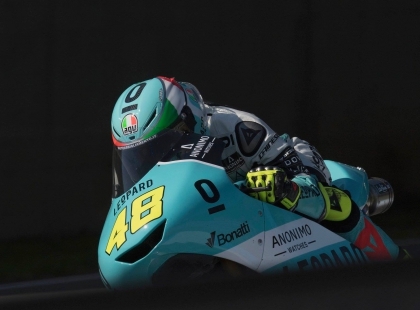 We’ve selected four breath-taking moments from the 2018 season that were dramatically influenced by time and we’ve put them into the compilation video below. 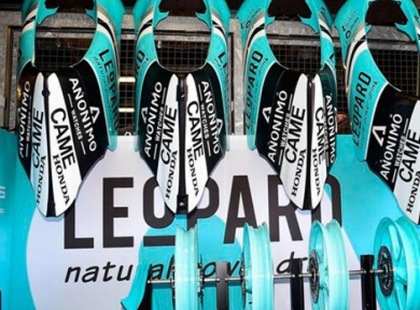 All you need to do is choose your favourite and vote. 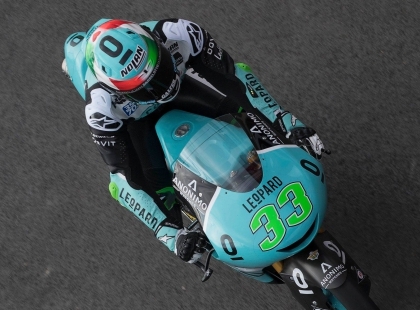 Come to discover the new NAUTILO Leopard Racing Limited Edition this weekend (Friday and Saturday from 10h to 18h) and meet the two Moto3 pilots for a signing session! 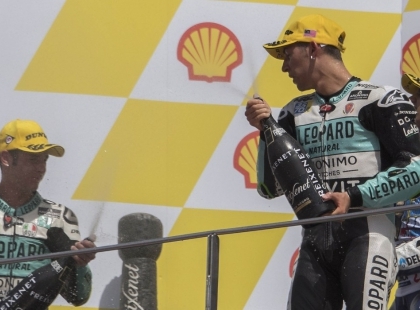 Both riders of the Leopard Racing Team on the Sepang International Circuit’s podium at the end of a very exciting race. 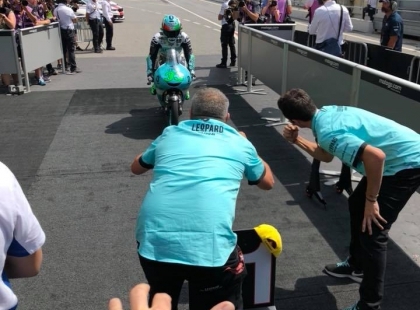 Sunday morning opened finally with a perfect temperature (25°c) on 5,5 km of the Sepang International Circuit, venue of the eighteenth round of the 2018 season. 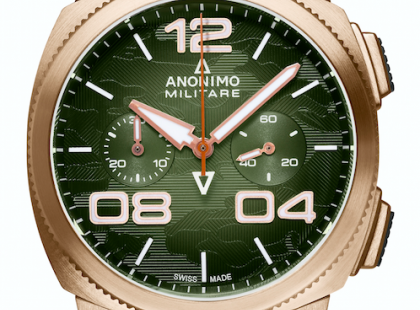 The EPURATO Verde Natura The trend is to go green, with green being the new black it would seem. 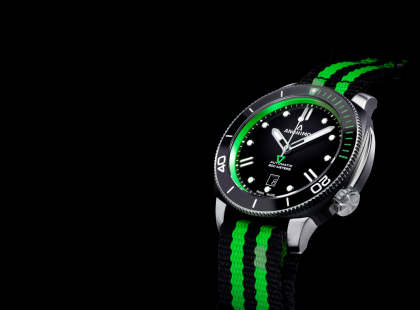 This new EPURATO offers a marriage of steel with a green that changes colour depending on the light. 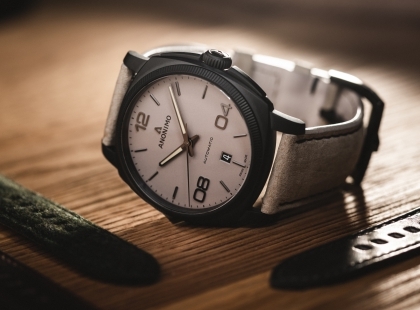 Being presented in a more refined version, and as a tribute to Italian elegance, the dial and its leather strap feature nuances of this most natural of colours. 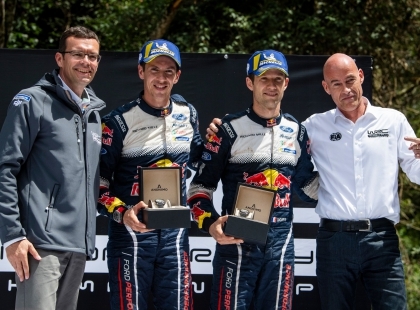 The nine-time world champion, driving a Citroën C3, won the mixed surface fixture by 2.9sec from Sébastien Ogier’s Ford Fiesta in a pulsating final speed test shootout. 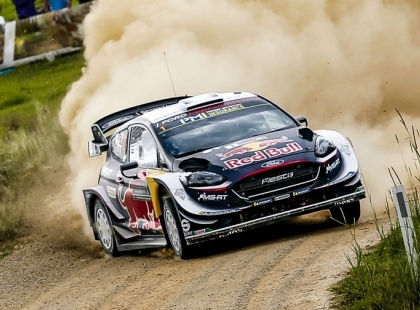 Jari-Matti Latvala snatched the Frenchman’s slender overnight lead before Ogier fought back to regain the initiative in the penultimate speed test and win the four-day gravel road encounter by 10.6sec in a Ford Fiesta. 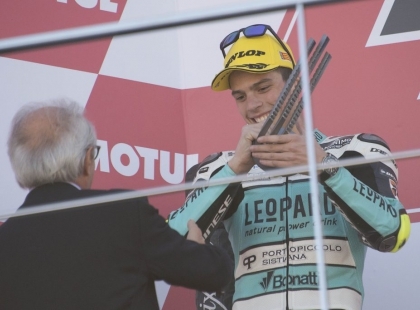 The talent from Rimini made an extraordinary comeback from the middle of the grid (which he had been relegated to this morning following a penalty) back to the third step of the podium, gaining one position in the standings. 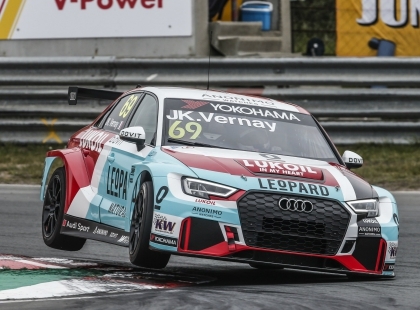 Leopard Lukoil’s Jean-Karl Vernay secured victory in the opening TCR Europe race at Monza, finishing ahead of PCR Sport’s Mikel Azcona who finished in second to extend his points lead. 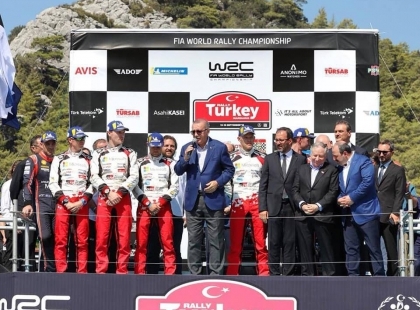 Ott Tänak celebrated the WRC’s first hat-trick since 2016 after claiming a third consecutive win at Rally Turkey on Sunday afternoon. 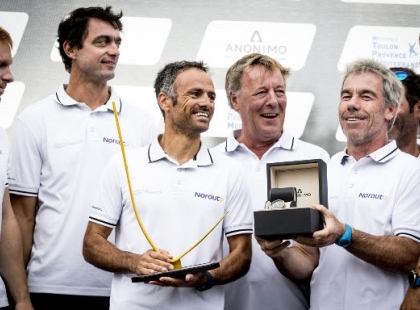 NORAUTO also won the ANONIMO Speed Challenge, thanks to their 22.5 knot average speed run on Saturday. 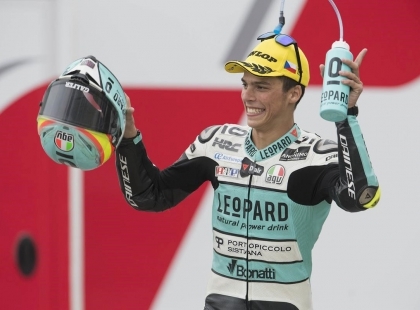 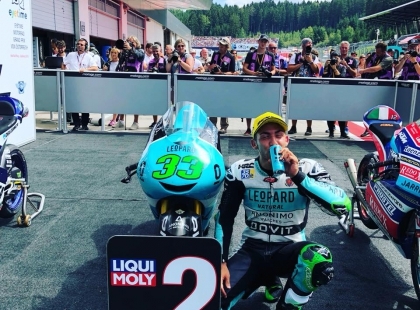 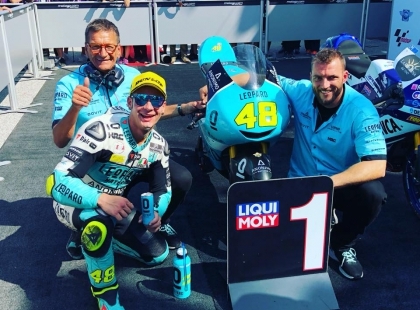 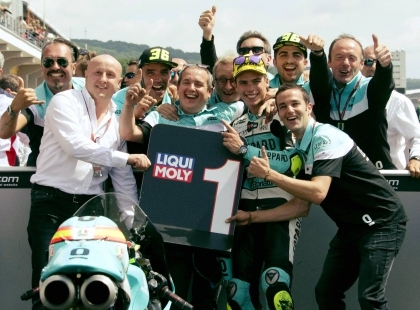 Moto3 racing never fails to provide the best racing and it did not disappoint at San Marino, ultimately seeing Lorenzo Della Porta winning his maiden category victory. 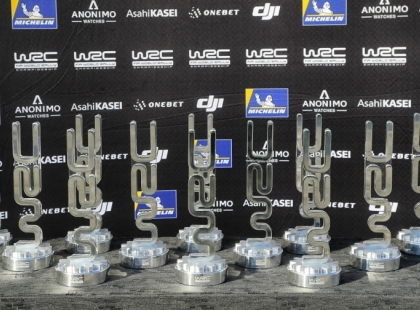 The Estonian won the four-day asphalt encounter by 39.2sec in a Toyota Yaris, repeating his 2017 success and securing a second consecutive WRC win after triumphing in Finland three weeks ago. 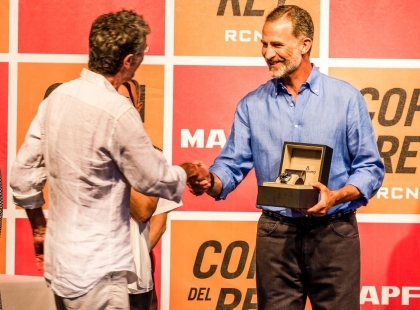 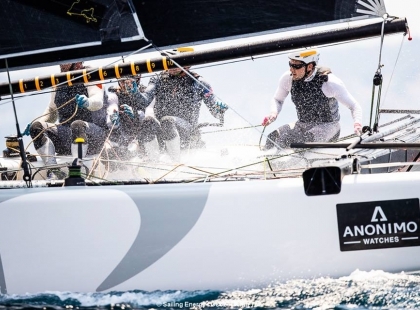 ver consistent Bay of Palma gave the eight GC32 flying catamaran crews a more complete test on the penultimate day of the Mediterranean’s most prestigious multi-class regatta, Copa del Rey MAPFRE. 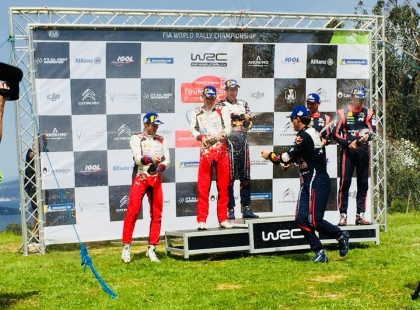 He bounced back from dismal results in the previous two rallies to claim his second win of the WRC season, and the fourth of his career, with an accomplished drive on the fastest fixture in the calendar. 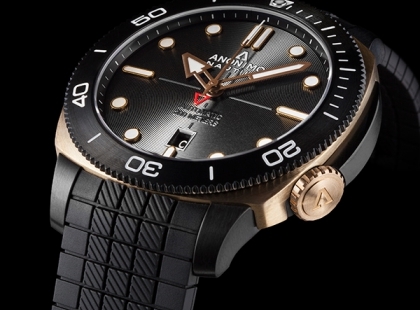 We are very excited to announce that ANONIMO Watches are now presented in Globus Geneva. 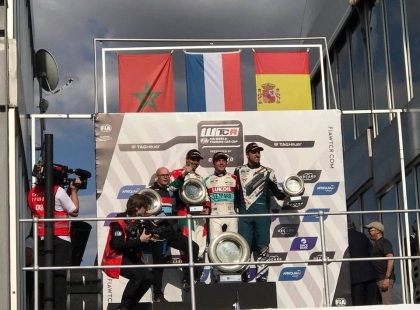 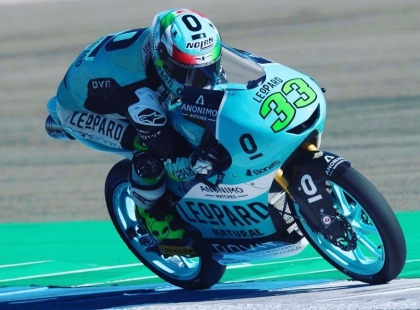 Great satisfaction for the team Leopard Racing in Assen: Bestia jumps on the third step of the podium and Lore closes in the second group by touching the Top5. 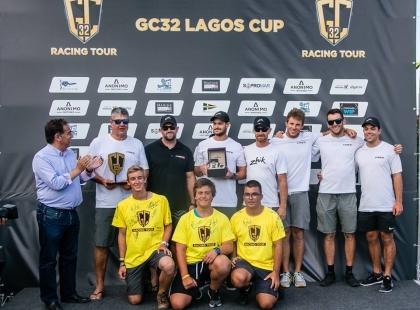 With one race lost yesterday, six were held on the final day of the GC32 Lagos Cup, event two of the 2018 GC32 Racing Tour. 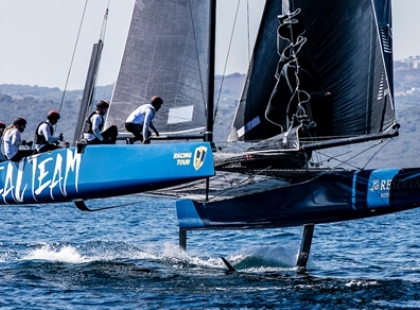 This saw the full schedule of 20 races completed, but two races short of this Franck Cammas and his NORAUTO powered by Team France already had the regatta sewn up. 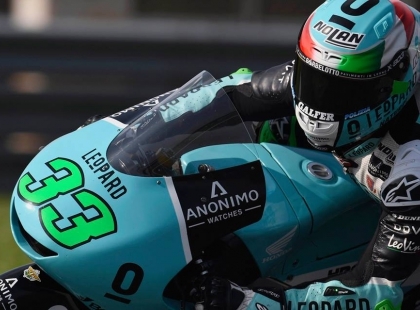 Enea Bastiani pulled out an amazing last lap three bike slipstream to win a crash heavy Moto3 Catalan Grand Prix, which saw only seventeen riders finish. 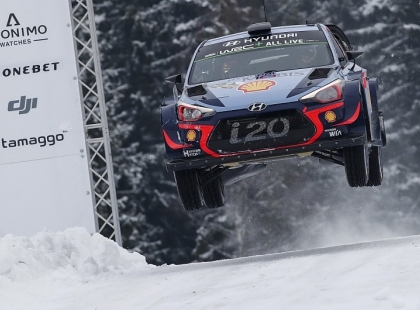 The Belgian, driving a Hyundai i20, started the last 6.96km special stage trailing the Frenchman by 0.8sec. 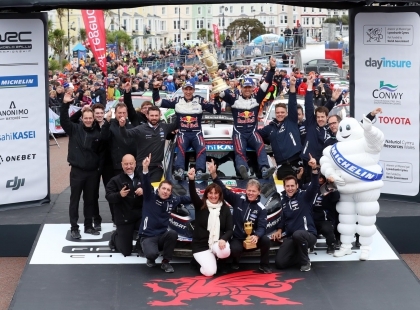 He stormed to fastest time, overturning the deficit to win by 0.7sec and extend his championship lead over Ogier. 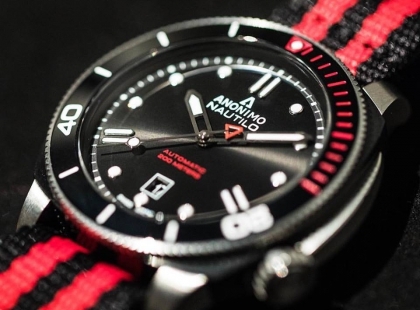 After an announcement last January, ANONIMO confirms its status as the official timekeeper of the FIA World Rally Championship on Italian soil. 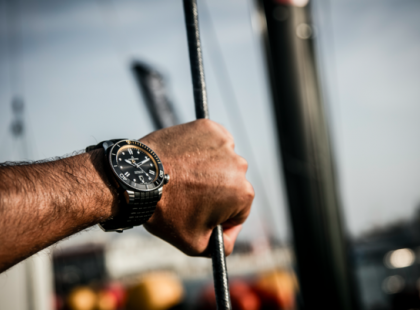 At the half-way point of the season, and respecting its Florentine origins, the brand new special series chronograph is revealed during the 7th stage by the watchmaking brand. 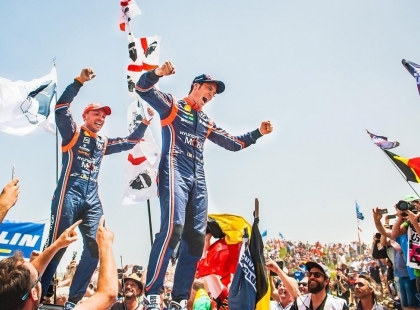 The Belgian steered clear of trouble on rocky dirt roads to win this sixth round of the series by 40.0sec in a Hyundai i20 and demote five-time champion Sébastien Ogier from the top of the standings. 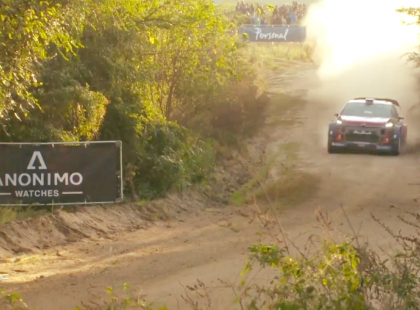 He dominated the tough dirt road rally in a Toyota Yaris after recovering from an early spin to win this fifth round of the FIA World Rally Championship by 37.7sec. 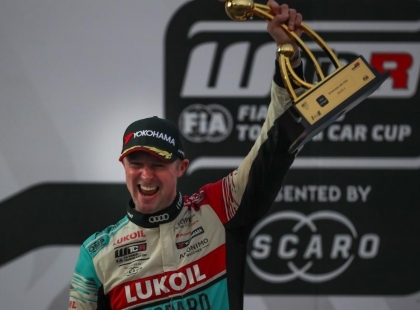 It was the Estonian’s first victory for the Japanese manufacturer. 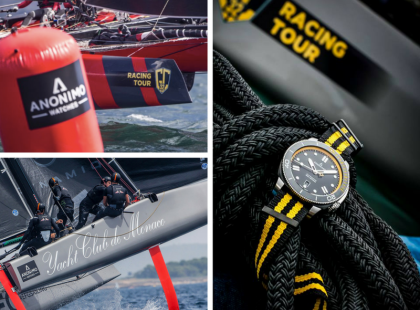 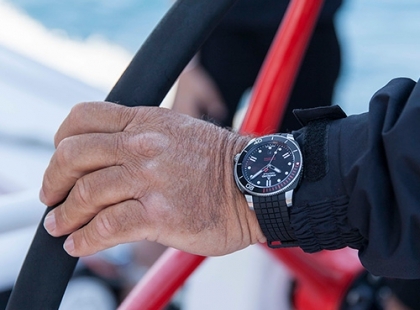 Anonimo is once again supporting the GC32 Racing Tour, which remains in its sports portfolio alongside the World Rally Championship and the Leopard Racing MotoGP as well as May's first ever GC32 World Championship. 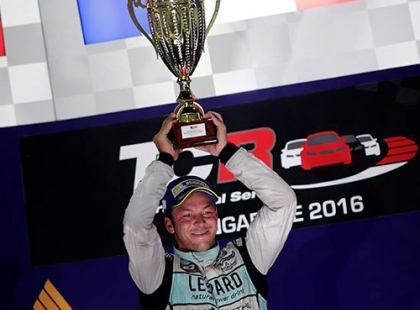 The Frenchman led the three-day asphalt rally from start to finish in a Ford Fiesta and won by 36.1sec to increase his championship lead over Thierry Neuville. 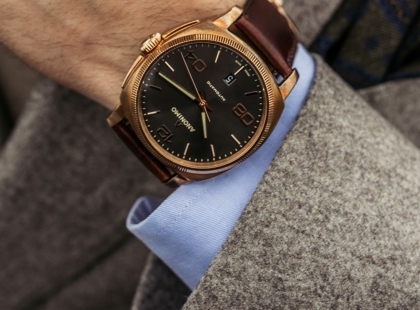 Interpreting the codes of Italian elegance with the new collection, we pay homage to Florentine aesthetics. 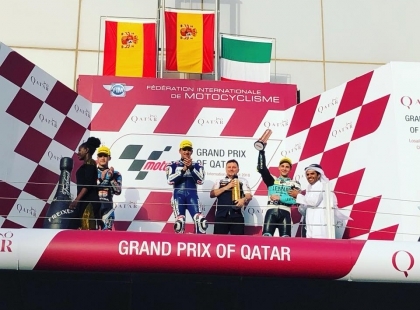 Congratulations to Lorenzo Dalla Porta for its 3rd place at the MotoGP in Qatar! 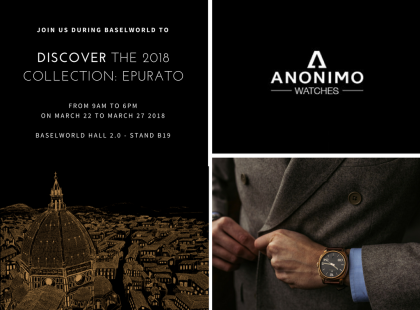 BaselWorld 2018 is just around the corner, join us to discover the new EPURATO collection! 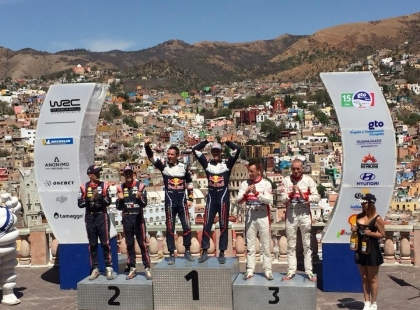 The Frenchman surged from fifth to first in intense heat on Saturday before easing through today’s final leg in mountains near León to win the dirt road encounter by 1min 13.6ec in a Ford Fiesta. 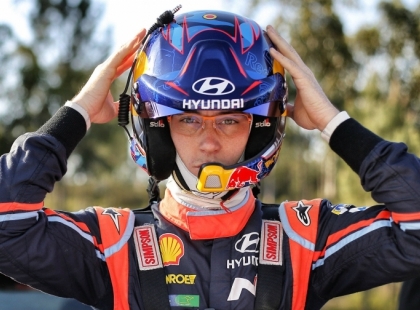 WRC Rally Sweden: Neuville wins and takes points lead, Breen second! 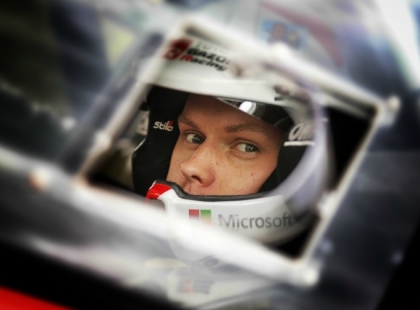 WRC Rallye Sweden has started! 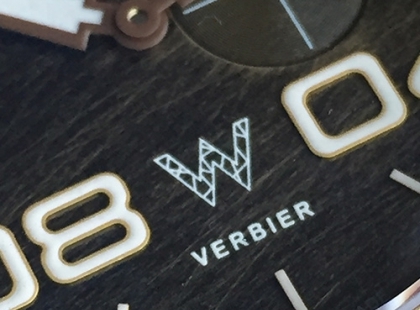 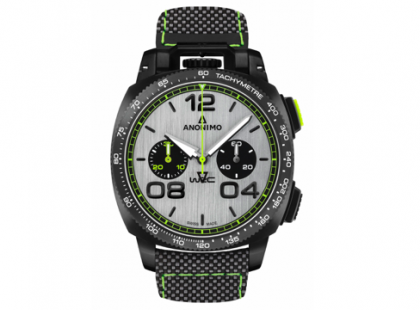 As you might know by now ANONIMO has completed a multi-year agreement with WRC Promoter to join the FIA World Rally Championship in 2018 as its new official timekeeper. 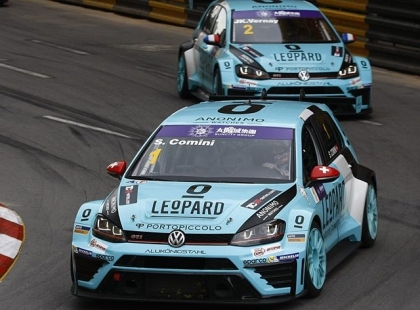 This entrance into rallying’s most important and prestigious championship was launched at the season-opening Rallye Monte-Carlo, the first of 13 rounds. 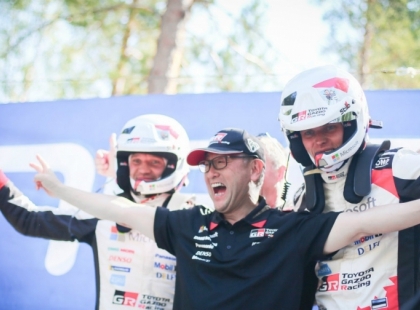 And it is now time to start the Rallye Sweden! 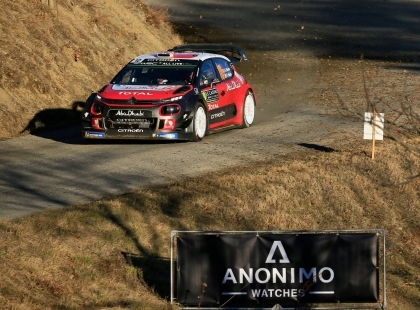 ANONIMO is proud to announce its partnership with FIA World Rally Championship in 2018 as its new official timekeeper. 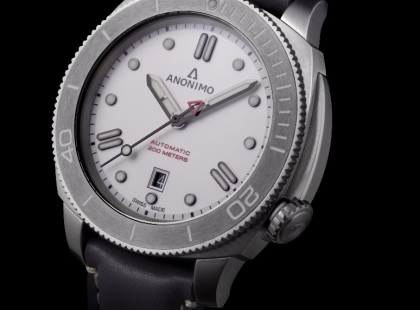 Anonimo celebrates its 20th anniversary while a breeze of modernity blows on the Nautilo and Militare models. 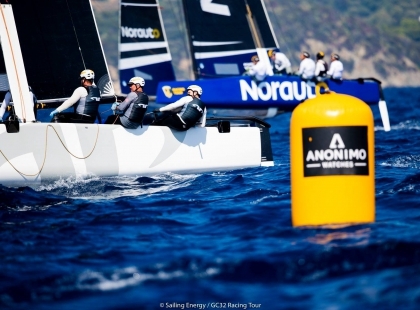 Victors were crowned on this final day of Marseille One Design, also the last day of competition on the 2017 GC32 Racing Tour. 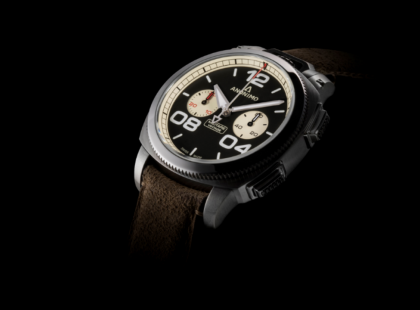 Discover the new Anonimo Vintage Collection. 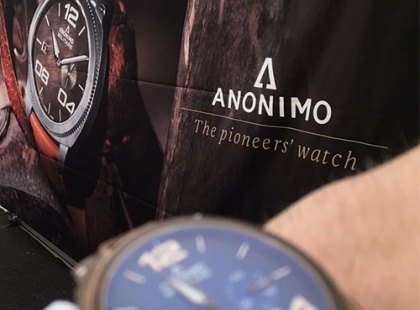 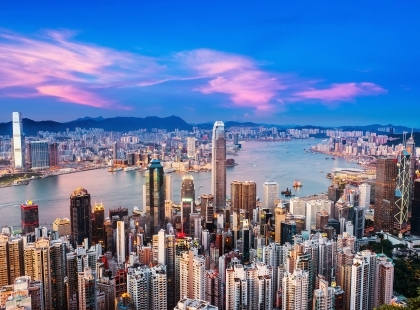 In a few weeks, from September 5th to 9th, Anonimo will be present at the Hong Kong Watch and Clock Fair. 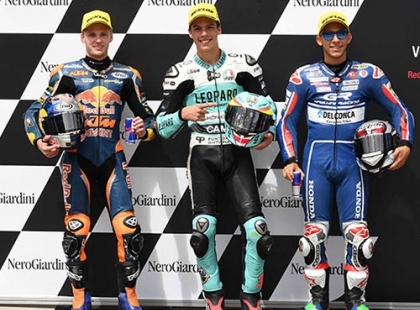 The talent of Palma de Mallorca conquered the field for his sixth victory and increased his lead, wearing the new ANONIMO watch on the podium yesterday in Brno. 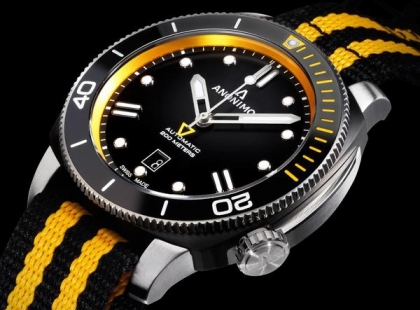 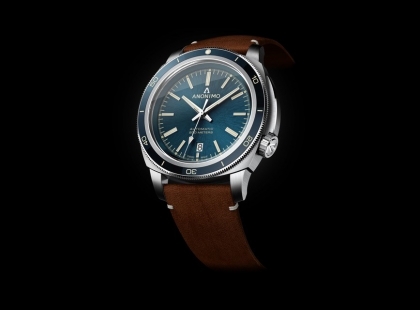 On the occasion of the brand's 20th anniversary and the release of the new edition of the famous diving watch designed by naval engineer Dino Zei in 2006, Anonimo and Kronometry 1999 are presenting a limited edition of 25 pieces. 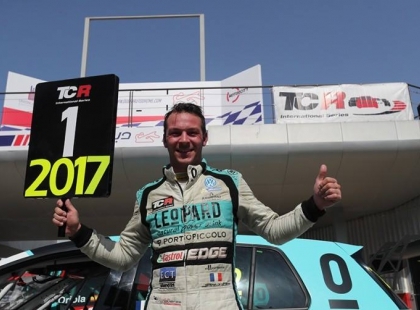 Mir extends his Championship lead! 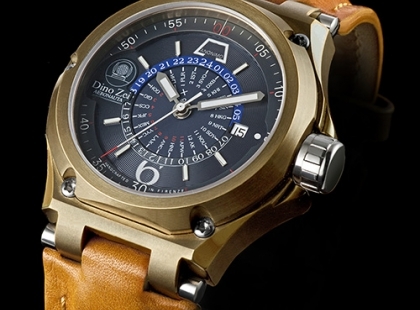 Check out the new Leopard Moto Limited Edition (only 97 copies). 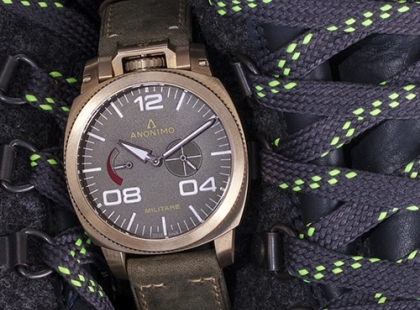 Anonimo presents: The New Nautilo with NATO strap for summer. 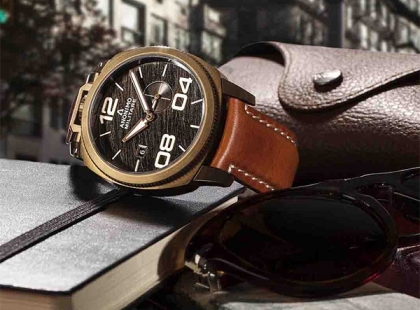 Discover the 2017 novelties from BaselWorld. 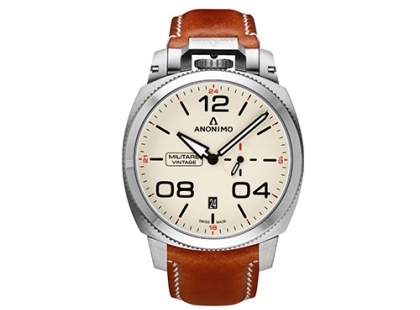 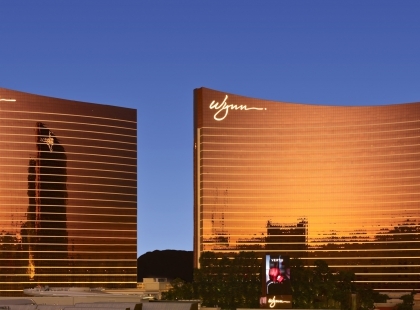 This new year brings up 20 years existence for Anonimo who starts celebrating this event. 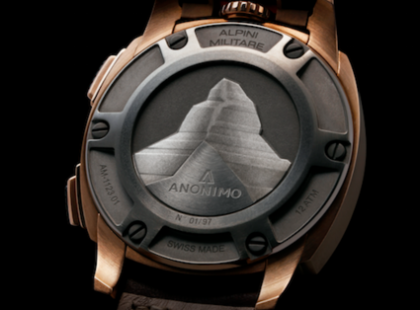 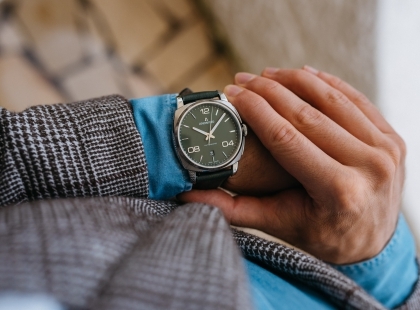 Founded in 1997 in Florence, Italy, Anonimo has a long tradition of local watch making. 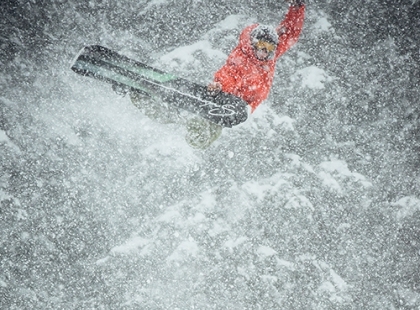 Anonimo is starting the winter season in partnership with the Alpine Ski School. 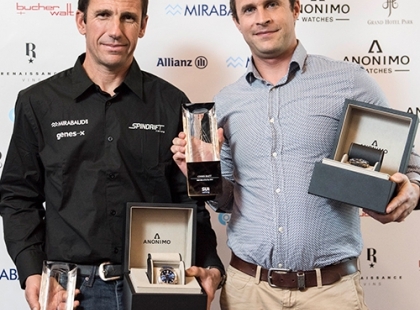 The 5th edition of the SUI Swiss Sailing Awards took place last November 19 at the famous Swiss Transport Museum in Lucerne. 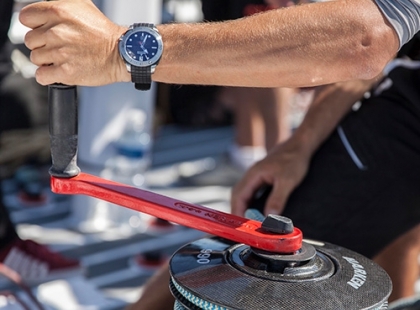 After a first boat in their own name in 1996, ANONIMO has returned this year with the world of sailing. 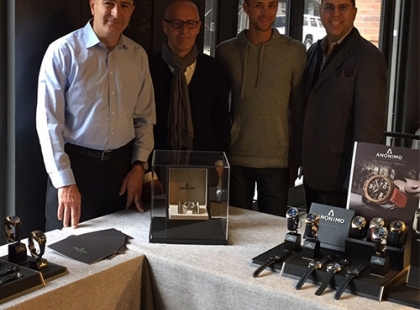 Last week-end, Anonimo exhibited at the worn&wound’s Wind-Up Watch show at Chelsea Market in New York City. 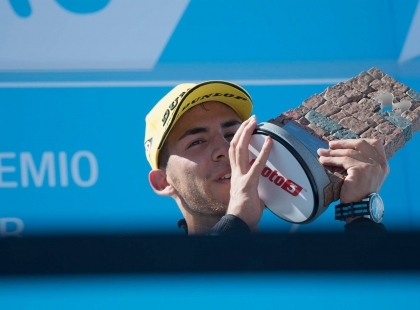 Organised from 15th to 22th October , the Luxembourg Open is taking place in CK Sportcenter Kockelscheuer. 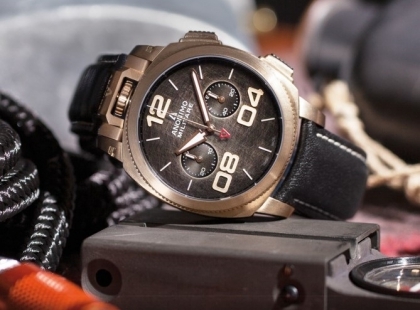 Anonimo sur les planches, quand la Militare Chrono donne le tempo. 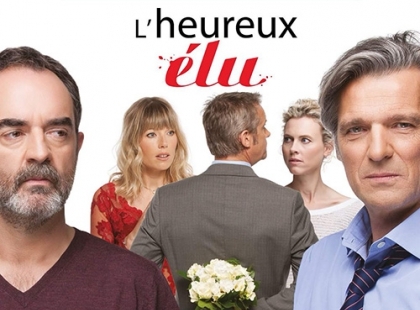 « L’heureux élu » est la dernière comédie qui réunit pour la première fois au théâtre le tandem Bruno Solo et Yvan Lebolloc’h, ainsi qu’un troisième rôle, celui d’une Militare chronographe. 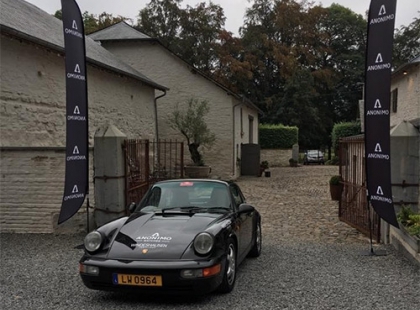 Organised in collaboration with our local retailer Windeshausen in Belgium, a rally went through an amazing touristic route last weekend. 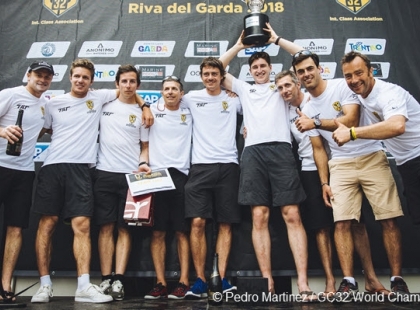 After Cowes earlier this summer, Marseille and its Juris' Cup was another city celebrating Lionel Pean and his team's victory. 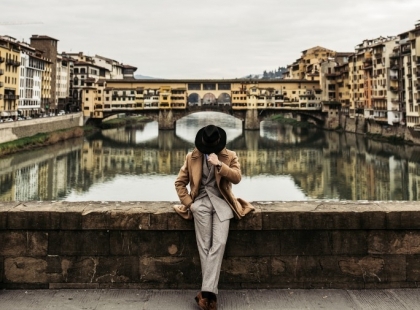 European Film Tour starting now : come and discover the new movie AfterForever. 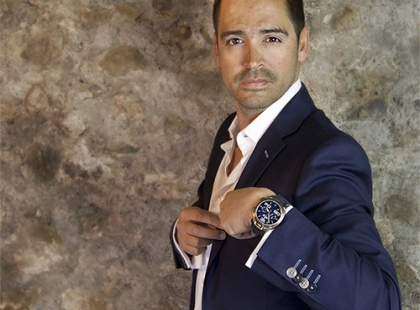 On 8th September , AfterForever sets off in the Plaza Club in Zurich. 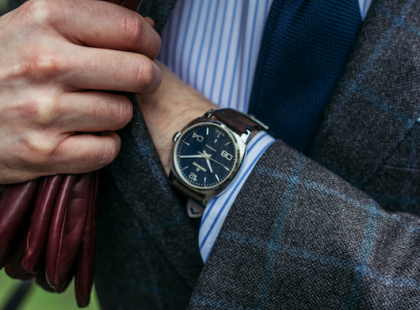 The appointment of our new CEO has been announced. 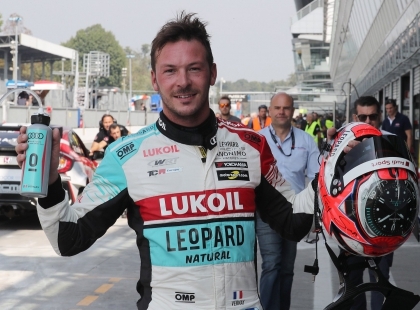 Congratulations to Leopard Racing Teams ! 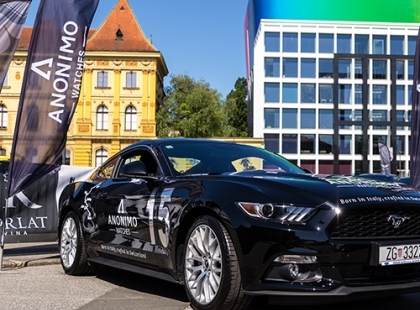 As summers comes along, around 150 VIP automotive enthusiasts in 80 luxury sports cars drove through some of the most beautiful landscapes in Croatia. 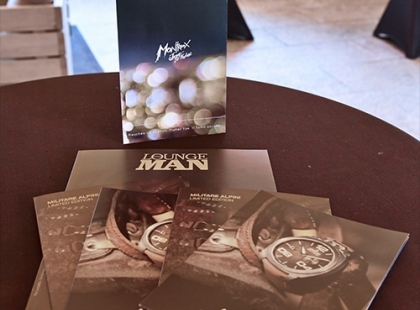 While Montreux city was celebrating its 50th Jazz Festival, Anonimo welcomed about 100 VIP guests at the terrasse of the Royal Plaza for a bronze party. 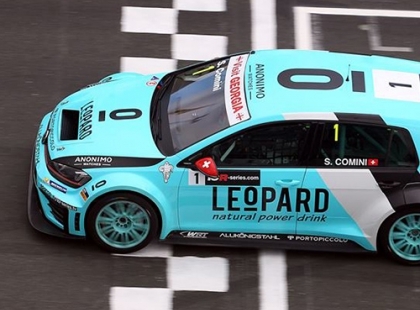 Anonimo enters TCR, and now official partner of all Leopard Racing teams. 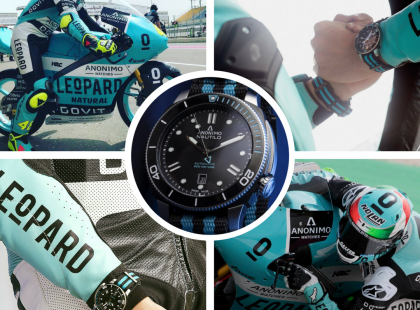 After announcing its support of motorcycle racing, ANONIMO is reinforcing its link with LEOPARD RACING. 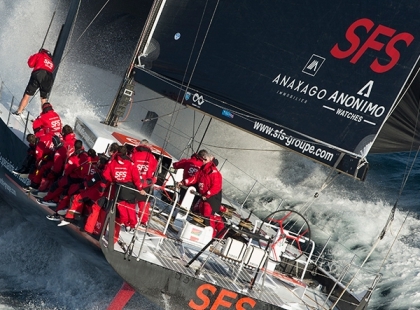 Last June 9th, on the eve of the 64th Giraglia, one of the most famous Mediterranean classics, international press boarded for one day the SFS II alongside Lionel Péan in Marseille. 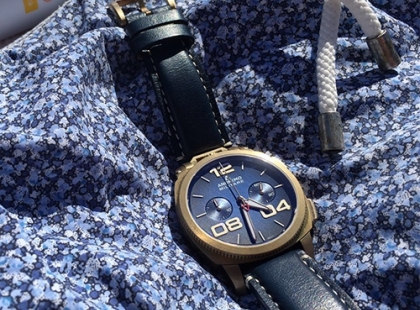 As summer approaches, Anonimo chose famous seaside resort Viareggio to display its collection in G. Nivrel boutique, on the Viale Guglielmo Marconi close to the seafront. 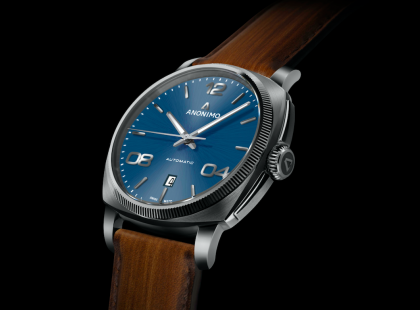 As summer approaches, Anonimo is heading to St Tropez to display its collection in the Kronometry boutique at the heart of the exclusive Byblos hotel. 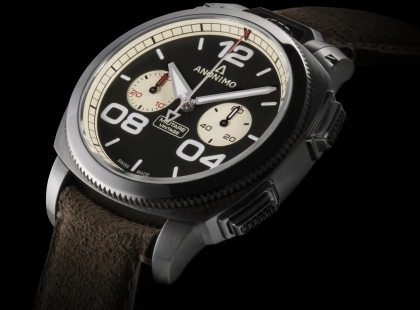 Anonimo and colette are delighted to continue their collaboration. 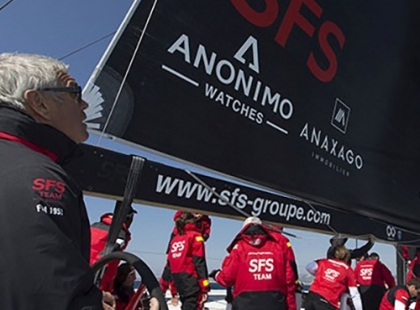 After sailing with its first eponymously named boat back ten years ago, ANONIMO is set to return to the world of sailing and has teamed up with SFS. 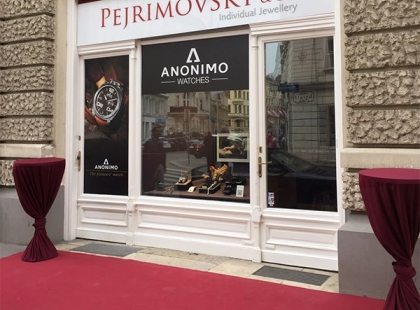 Anonimo presents its complete collection with his Austrian retailer Pejrimovsky & till early June. 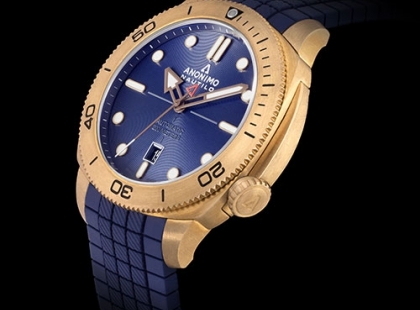 In homage to the brand’s Italian beginnings, Anonimo watches honour the unique savoir-faire of Florentine artisans, who have been making watch cases since 1939. 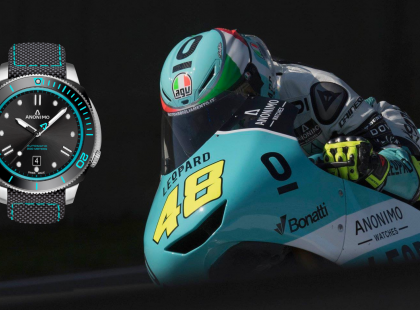 ANONIMO and LEOPARD RACING are proud to announce that ANONIMO is the Official Timekeeper and Official Watch of Leopard Racing Teams in Moto2 and Moto3 world championship.